A new Book of the Week post! 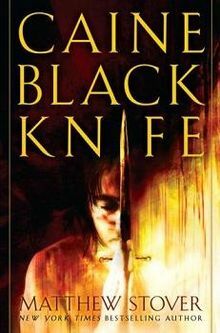 I’ve been looking forward to talking about this specific book for a while now, though I had to postpone it for various reasons (a very busy business trip to London and then nearly dying while traveling to Glasgow), but the result is that I have more context to talk about it, since I’ve read further into the series. 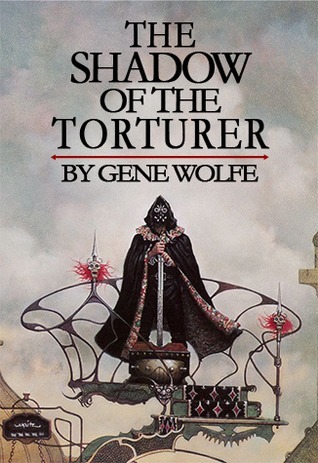 Today, we’re going to take a look at The Shadow of the Torturer by Gene Wolfe, the first installment in his acclaimed Book of the New Sun. Very slight spoilers after the jump. So it’s been barely a month since my last State of Writing update, where I talked about my plans for the coming year and the beginning of work on Magisterium. I was very excited (still am) to get started on that book, since it was one of my favorite ideas. However, it’s been quickly dawning on me that Magisterium needs to take a back seat for now. 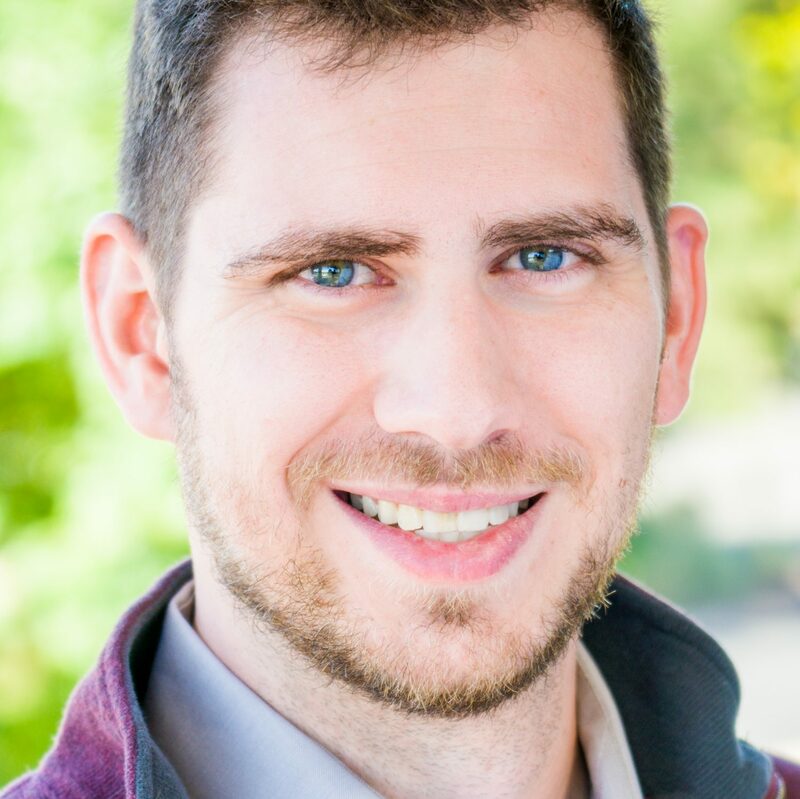 I did a bunch of worldbuilding this fall, and started writing the first draft. As of right now, Magisterium sits at just over 6000 words—and the spark just isn’t there. I’m going to be revisiting this book in the future, but it’s clear that I need to do some more work on this outline and get things together better. Where that spark is is back with Chronicle of the Sons. I’m underway on revisions for All Flames Cast, which remains top priority, but my thoughts have been increasingly bent toward the sequels. It has become obvious to me that I need to go with what feels right, and at this time that means Book 2, Of Genesis. Even just considering writing this book has me excited, which is how it should be. I just can’t get away from these characters and this world. The tale must go on. Well, this is exciting. Any time a new Sanderson novel comes out, especially one set in the Cosmere, I have a little field day. It’s been well over a year now since we got a new Cosmere novel (the last was Words of Radiance, which I reviewed here), and the hype has really built. 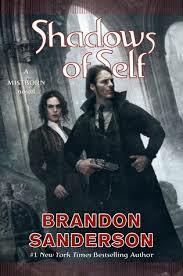 Due to the importance of some of the Cosmere-wide tidbits in Shadows of Self, this review will have some spoilers, not only for Shadows of Self, but also for others of Sanderson’s works. Yeah, yeah. I know. I didn’t do a Book of the Week last week. The truth is, moving is the worst thing and drives me nuts and I completely lost track of what day it was. By the time I realized I needed to do one of these posts, it was Sunday night and I was just beginning to get ready for a new work week. Anyway, you actually get a Book of the Week this Thursday. And this one is going to stick with the same genre theme as the last one I did. 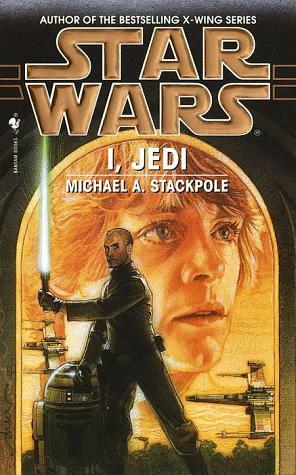 This week’s is I, Jedi by Michael A. Stackpole. It’s that time again! Every Thursday, I will be talking about a book that, for one reason or another, stuck out to me in the past. I’ll do a little review and summary (no spoilers, of course), and give a rating and recommendation. 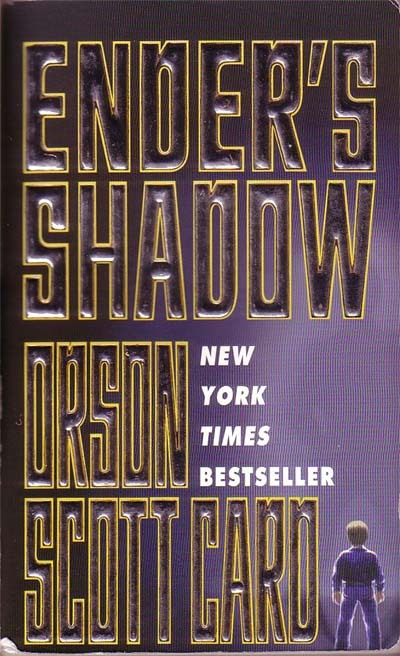 This week, the Book of the Week is Ender’s Shadow!